Advertisers and agencies can work with Google AdWords Marketing Partners to report and optimize campaigns on Google AdWords. 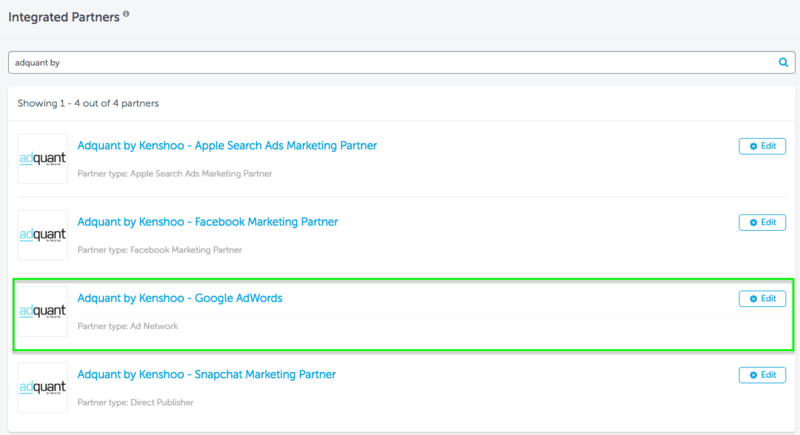 When configured, AppsFlyer sends postbacks to the configured Google AdWords Marketing Partner. 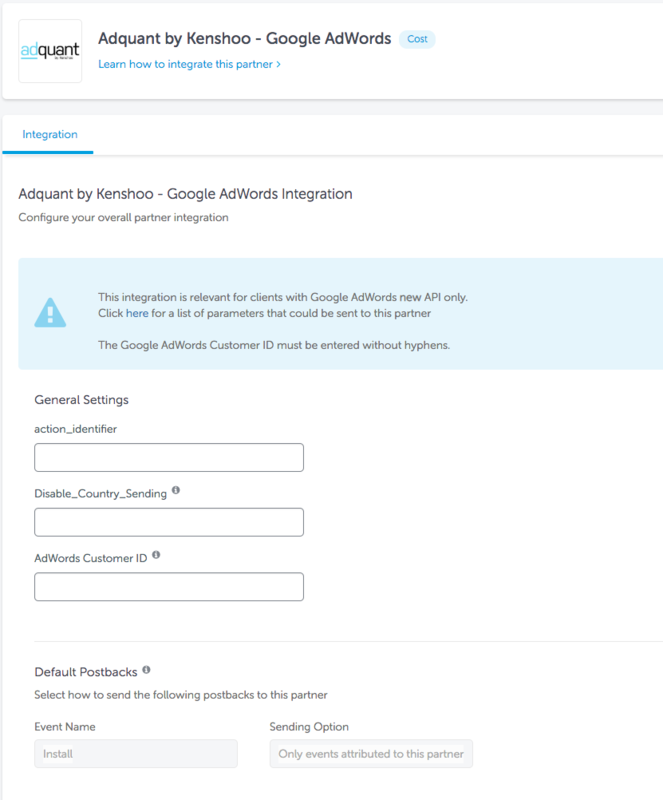 To configure your campaigns with Adquant by Kenshoo - Google Ads, follow the steps below. 2. Enter "Adquant by Kenshoo" in the search box and click the logo. 5. Enter the Action Identifier, Disable_Country_Sending (provided by Adquant) and the Google Ads Customer ID number in the appropriate fields. 1. To send in-app event postbacks to Adquant by Kenshoo, toggle the In-App Events Postback to ON. 2. 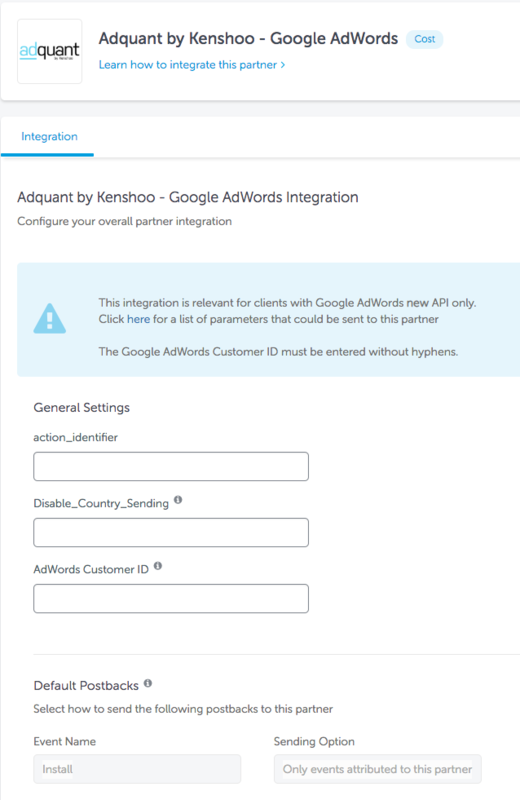 Individually add the in-app events you want to send to Adquant by Kenshoo and map them to the Partner Event Identifier field.